Johnson Exteriors is a family-owned Licensed General Contractor Company serving the Minneapolis and Saint Paul metro area from our office in Saint Michael, MN. Together, owners Bryan Johnson and Tracy Johnson, have more than 30 years’ experience in the construction industry, installing and repairing storm damage to roofs, gutters, siding, and windows. We specialize in handling insurance claims for damage to houses from hailstorms and thunderstorms that occur regularly in Minnesota. I had the entire exterior of my home replaced…and couldn’t be happier with the final results for the job with the insurance claim, and am happy to recommend Johnson Exteriors and Bryan Johnson for any of your Insurance claim needs. The majority of our years of experience as roofing and siding contractors have been spent successfully handling insurance claims from severe thunderstorms and hail damage to roofing, siding, fascia, gutters and windows. When you choose Johnson Exteriors to help you with your homeowner’s insurance claim, you are choosing a team that is pretty close to batting 1,000 percent when it comes to dealing with insurance companies. Simply put, this is what we can do for you! We are very passionate about the insurance industry and their lack of true evaluation and compensation for homeowners claims. This is due to constantly making sure the insurance company pays for storm-related problems to your home’s exterior, instead of allowing them to compensate you for a smaller amount that does not cover the all the damage to your property. Johnson Exteriors has proven to be one of the Best Residential Insurance Claim Specialists to handle your insurance claim from start to finish. 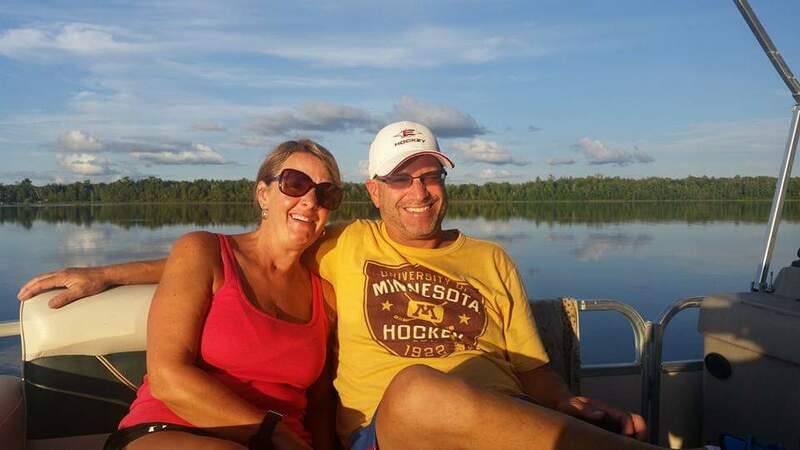 Both Tracy and I are proud to have been raised in the St. Paul and Minneapolis area, and now serve our neighbors, friends and wider community for over 30 years with our roofing and siding business, Johnson Exteriors, as well as help local business owners like us with our digital marketing services. Tracy is the heart of our business, who keeps track of every job order and every claim to create a smooth-running and caring operation, and I’m the one that goes out every day to check on the progress of the work being done. We love serving our community and connecting with business owners as members of the Chamber of Commerce I-94 Westchapter and the Better Business Bureau of Minnesota. Tracy and I truly care about each and every client, and we treat your house as if it were our own. We are here to solve any problem of weather damage to your home and to work with you and your insurance company to get the restoration costs fully reimbursed. This is what homeowners in the Minneapolis – St. Paul area and suburbs love most about working with our roofing and siding company, that we are experts in settling your insurance claims, while beautifully repairing your home. In that way, we want your experience with Johnson Exteriors to be so positive and unforgettable that you wouldn’t hesitate to recommend us to your neighbors and friends. These are the only people I let touch my house. They are professional and deal with all the details that came up with my storm damage. They worked hard to make sure the insurance adjuster didn’t short change us. Plus they are a local business as they are invested in our area. Best Minneapolis Roofing Contractor for Siding Replacement, Window Repair, Gutters & More! With Johnson Exteriors, no project is too big or too small. We look forward to demonstrating our expertise by installing or repairing roofing, siding, gutters, or windows for your house, and help you with your homeowners insurance claim. Call us today at (763) 355-4458 and join our hundreds of other satisfied clients. We look forward to meeting the challenge! Whether the roof and exterior parts of your home have minor or major storm damage, Johnson Exteriors provides complete home repair services, including full replacement full of roofing, siding, windows, gutters and more. When you hire our roofing and siding company, we not only repair and restore the exterior of your home professionally, we also put your mind at ease by handling your insurance claim so they cover the full cost of the work. Simply put, this is what we can do for you! If parts or all of your roof shingles have suffered from hail, wind or ice dam water damage in Minnesota’s fierce winter storms, we repair sections and replace entire roofs to protect the integrity of your home. Hail and wind can dent or crack the siding of your home. We are specialists in repairing damaged sections or replacing your siding with the materials to match your original construction and suit your budget. Thunderstorms and high winds create leaky roofs when shingles are blown off. Call for our same-day shingle repair service if you notice damp spots in the ceiling before the problem spreads. Protect your home from water damage by installing new gutters and repairing or replacing gutters damaged by strong winds, heavy snowfall and storms. Severe weather can damage windows and their frames. We repair, replace and seal your windows from water leaks and seepage to protect your home from more serious damage. 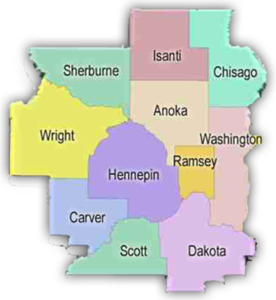 Minneapolis – St. Paul and the nearby communities of homeowners call us the “one-stop-shop of roofing and siding” because we not only offer full exterior restoration for your home, but also handle all aspects of your homeowner’s insurance claim with nearly 100% success. Bryan and Bob know the business. After having multiple roofing companies trying to work with our Insurance Co and never getting anywhere, Johnson Exteriors demonstrated our damage and we received a great new roof. Johnson Exteriors did the job efficiently and effectively! So much thanks! We can’t recommend them enough! How do I know if my roof has storm damage? Storm damage is not visible from the ground, and even from the roof, may not be visible to the untrained eye. If you see your neighbors getting work done to their roofs and exteriors after a severe storm, hailstorm or high winds, there is a good possibility your home also suffered damage. Give Johnson Exteriors a call at (763) 355-4458 for a free inspection of your roof, siding, windows and gutters. Hail damage causes soft spots or bruising to asphalt shingles and loosens the surface layer of hard granules, which may or may not be noticeable except by trained inspectors. Another way to spot hail damage is to inspect the roof vents for dents. If the vents are damaged, the shingles will have sustained damage as well. Hail may also break through the felt matting of the shingles and cause them to crack or break. 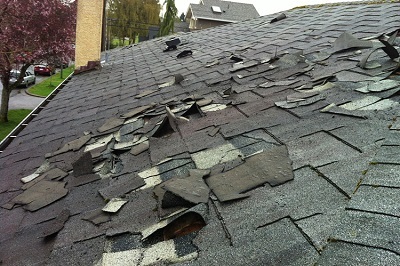 Over time, from one to two or more years, moisture seeps into the damaged shingles to create leaks. Water damage over time is much more destructive to the integrity of your home and its value, which is the precise reason insurers are willing to pay hail storm claims sooner rather than later. Although hail damage may not pose an immediate threat to your roof’s integrity, many insurance companies have a time limit on making a claim. It’s prudent to get your roof repaired or replaced in a timely manner before leaks develop and create further damage and the insurance will no longer cover the costs. What does hail damage look like on siding? 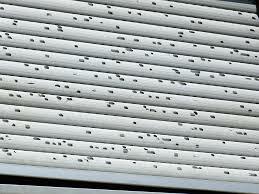 On vinyl siding hail damage causes visible breaks, cracks or holes. However, damage to aluminum siding shows up differently. Large hailstones cause dents throughout the entire elevation, while smaller hail that hits the siding from strong crosswinds can produce dents large enough to significantly damage the aluminum. How long do I have to file a homeowner’s insurance claim for weather damage? All insurance policies are different, and the time to file a claim can range from six months to two years. The wisest course is to call a roofing contractor who is Hail damage certified soon after the storm to inspect your roof and exterior and work with the insurer for full compensation. If I file a storm damage claim will the insurance company raise my rates? After severe weather or a natural disaster has damaged a number of homes in a region, the insurance companies may raise everyone’s rates, so it does make sense to file a claim and have the damage to your home repaired. By not filing a timely claim, the potential increase in your rates will count toward paying everyone else’s claims, but you will not have benefited from paying higher premiums. So it makes sense to get reimbursed for storm damage to your home’s exterior. If I lost some roof shingles in a storm am I required to tarp my roof? Almost all insurance contracts require you to mitigate or prevent additional damage to your roof because if leaks are allowed to damage the structure or interior of the house, it could jeopardize your chances of collecting a settlement for a roof insurance claim. Fulfill any necessary responsibilities as outlined in your policy to prevent further damage to the roof, and call Johnson Exteriors as soon as possible after a severe storm to ensure you have done your part for the insurance claim process. My insurance company denied my claim. Is there anything I can do? 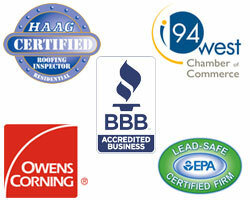 Once you choose a roofing contractor who is certified for storm inspections you are entitled to a re-inspection. Bryan Johnson of Johnson Exteriors is a Haag certified inspector for storm damage. He has successfully re-filed claims for full compensation with insurance companies by working directly with insurance adjusters to provide evidence of damage. Should I get bids from several roofing contractors for storm damage? The cost for roof and siding repair or replacement is not that important, since the insurance company is responsible to indemnify you properly for your covered loss per your homeowner policy agreement. Your cost technically will be the same no matter which contractor you hire, which will be the amount of your deductible. Therefore, it is important that you choose the contractor who you feel you can trust to do the best quality of work, and who will complete the work per building code requirements and per the manufacturer’s specifications. Your contractor should also have great experience dealing with insurance adjusters to collect the full amount to repair your roof, siding, windows, and gutters. What is the storm damage claim process? First, find the contractor that you want to do the work for you so they can do their inspection and confirm all the damage to your property. Then Call the 1-800 number for claims that appears on your homeowner’s insurance policy – not your agent. The insurance representative will ask some basic questions and give you a claim number. Next, an insurance adjuster will contact you for an appointment to look at your roof and exterior. Always coordinate this appointment so the adjuster meets with your roofing contractor of choice. Your contractor should work directly with the insurance company to handle paperwork and act as your advocate on the claim. Be sure to look for and report water spots or stains you find on ceilings, walls, corners or near windows so that these areas get accounted for as well. For the best results, your contractor should walk around with the insurance adjuster during his or her’s inspection, to make sure everything is accounted for from their previous inspection. An experienced roofing contractor will also inform an out-of-state adjustor about state and local roofing codes. How long does the insurance process take? From the time you receive your claim number, which begins the filing procedures, you can expect it to take about 2-3 months to complete the entire process. The actual roofing job usually takes only one or two days to complete. However, some common delays are the time it takes to bring in the insurance adjustor and for him to file his report, waiting on city permits to begin the work, and scheduling city inspections. Inquire early if your mortgage company needs to endorse the insurance check. The right contractor should be able to walk you through all these steps. Can you claim storm damage on your taxes? According to the IRS, if the event is a natural disaster, such as a hurricane, tornado, flood or earthquake, you may be able to deduct losses based on damage to your property; however, it does not include losses from normal wear and tear, including expected or seasonal weather events. If your home is damaged in a sudden, unexpected or unusual disaster, you must file a timely claim for reimbursement with your insurance company in order to deduct losses on your tax return that are not covered by insurance. How can Johnson Exteriors help me with my storm damage roof insurance claim? Call us as soon as possible after the storm or hail if you suspect or see dents, dings or missing shingles on your roof, siding, or gutters, or notice any wetness or leaks in the house. We will respond immediately and make an appointment for a full inspection, including getting up on the roof to examine the shingles, flashing, vent covers, and other roofing features for evidence of damage. We walk the home’s perimeter to evaluate the gutters, downspouts, windows, siding and paint. We also inspect the attic for possible water leak damage and ventilation. After the inspection, we will go over everything with you and show you photos of any damage, as well as explain how it affects the value of your property. Johnson Exteriors is a full-service roofing and siding company, ready to repair or replace anything that has suffered storm, wind or hail on your home’s exterior from your roof to your mailbox, and make sure you get a fair and full assessment and settlement from your insurance company. I am a Haag-certified inspector, which means I’ve completed professional inspection and assessment training specific to storm damage, and am qualified to advise insurance adjustors when filing residential insurance claims. To schedule a free roof or storm damage inspection in Minneapolis, St. Paul, Minnetonka, St. Michael, Maple Grove or anyplace in the Twin Cities metro area, contact Bryan and Tracy Johnson at 763-355-4458 or fill in our online form for a quick response. Great family owned business, earning customers the right way, through referrals and great service! I’d highly recommend them due to experience, passion and high level of service. I love supporting family owned businesses, especially when they are local!